The idea of a four-course meal does seem really fancy but it does not compare to the joy of digging into an authentic Rajasthani Thali in Jaipur. 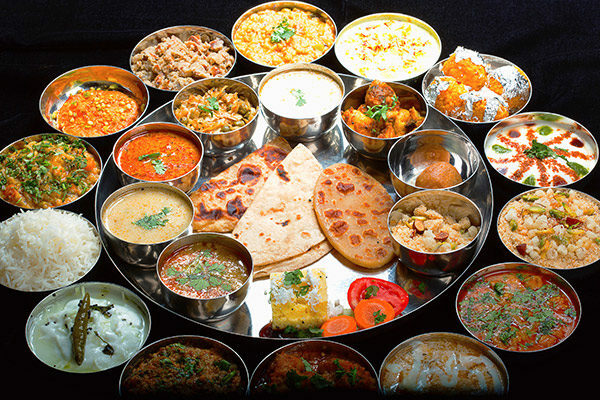 The complex variety of this thali is a sumptuous melody of diverse flavours served on a platter for you to enjoy. While all cuisines have their own charm, there is something really warm, inviting and lip-smacking-ly addictive about the Rajasthani cuisine. 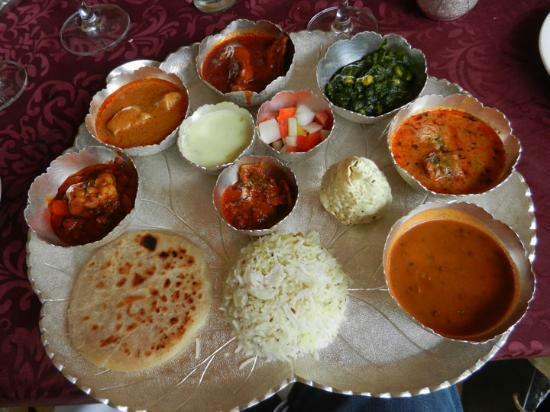 So here are our favorite places to sample a Rajasthani Thali during your next trip to Jaipur! 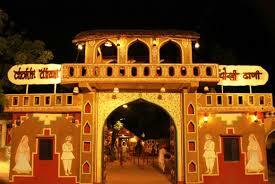 The ‘Chokhi Dhani’ resort is a mini-Rajasthan in itself. From the moment you enter the arched gates, you will forget the hustle and bustle of the chaotic city life and feel at home. This cozy vibe defines Rajasthan in its truest form. While there are many options in food and seating style at Chokhi Dhani, the traditional buffet is highly recommended. The Rajasthani Thali served here with the traditional ‘Manuwar’ aka hospitality will leave your hearts brimming with happiness. And trust us when we say this, once the food starts filling in your thali, you won’t be able to stop until your stomach is ready to burst! Authenticity at its best! Nestled in ‘Johari Bazaar’, popularly known as LMB, this place is a favorite among Jaipurites for hygienic and delicious street food. The ‘Rajasthani Meal Tray’ is a popular choice among the folks. It offers Dal, two types of Churma, 4 Bati (Plain+Masala), Ker Sangri, Gatte, Dahi Bada, Lehsun Ki Chutney and much more! And when you’re done eating, you can always get some shopping done at the Johari Baazar! A popular destination in the city for Rajasthani snacks like Kachori and Samosa, Rawat is a must-visit in your Jaipur bucket-list. This sweet-spicy heaven offers a range of Indian cuisines which also includes a special Rajasthani Thaali. The ‘Dal Bati Churma Thaali’ serves Bati, Churma, Dal, Kadi, Half Papad and Fried Green Chilly. Can’t eat a whole Thaali by yourself? No problem! You can also get them packed and chow down from the comforts of your home. Thought Standard, Executive, Premium only to hotel rooms and theatre seats? Wrong! 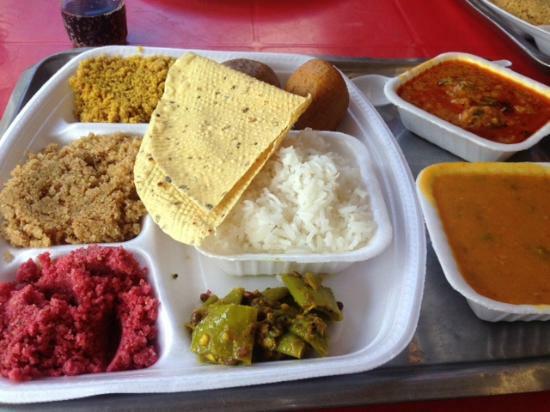 You can find all of these thalis and many more at Thali and More. Their Rajasthani Thaali is an absolute delight with items like Aloo Pyaaz, Gatta Curry, Kadhi, Lehsun ki Chutney, Mirchi Tapore, Bejad Ki Roti and Missi Roti. The ‘Dal Bati Churma Thali’ is another favourite among the visitors. It has Dal, Masala Bati, Sada Bati, Mirchi Tapore, Kadhi, Lehsun Chutney, Sada Churma, Besan Churma and Papad. 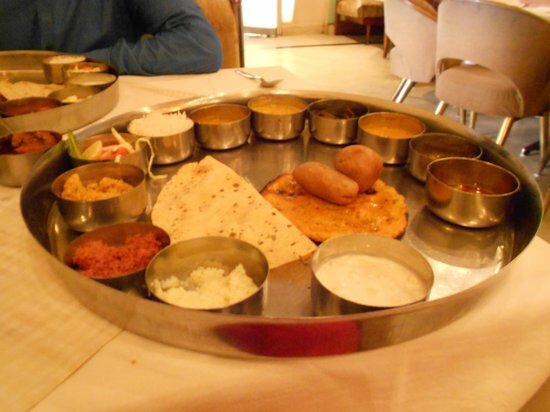 Where: C-SchemeWe hope you have some great options to try out Rajasthani Thaali in Jaipur. It is an absolute delight to eat a little bit of everything that is the best of what a cuisine has to offer.